While the philosophical study of mind has always required philosophers to attend to the scientific developments of their day, from the twentieth century onwards it has been especially influenced and informed by psychology, neuroscience, and computer science. 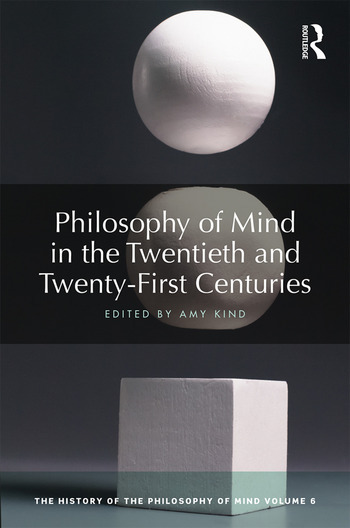 Philosophy of Mind in the Twentieth and Twenty-First Centuries provides an outstanding survey of the most prominent themes in twentieth-century and contemporary philosophy of mind. It also looks to the future, offering cautious predictions about developments in the field in the years to come. future directions for philosophy of mind. Essential reading for students and researchers in philosophy of mind and philosophy of psychology, Philosophy of Mind in the Twentieth and Twenty-First Centuries is also a valuable resource for those in related disciplines such as psychology and cognitive science. Amy Kind is Russell K. Pitzer Professor of Philosophy at Claremont McKenna College, USA. Her research interests lie broadly in the philosophy of mind, but most of her work centers on issues relating to imagination and phenomenal consciousness. In addition to authoring the introductory textbook Persons and Personal Identity (2015), she has edited The Routledge Handbook of Philosophy of Imagination (2016) and co-edited Knowledge Through Imagination (2016).